The SwingTables story started out in Chicago, where Greg Frehr and life long friend, Ben Hanisch, were working together in a company that Ben Hanisch founded called the Last Workshop. They developed and evolved the SwingTables concept. Together they moved the workshop east, to New York, they decided to focus on different aspects of the furniture business while sharing a Bronx workshop. Owner, Greg Frehr, has been making custom furniture for too many years to count. 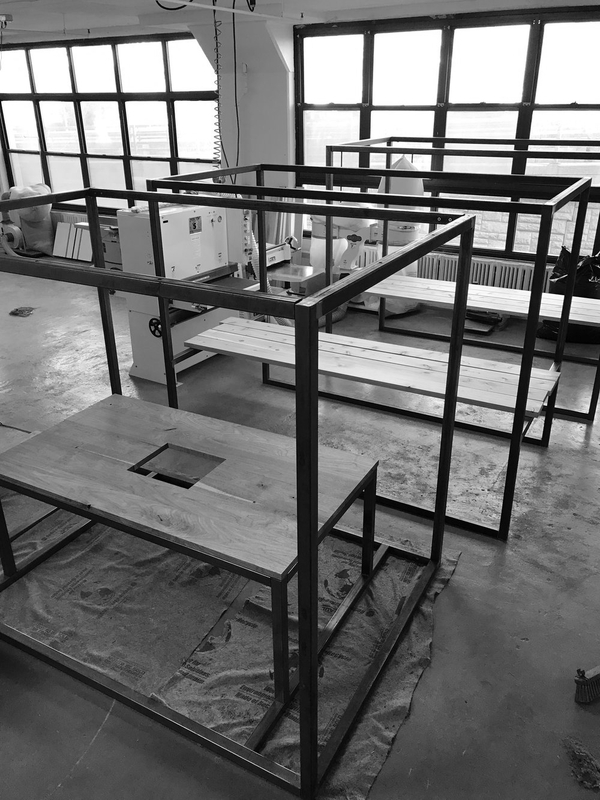 His experience and craftsmanship has taken SwingTables to new and exciting places. Each project is treated with the utmost care and a quality product is his number one focus.